UPDATED: Wed., May 23, 2018, 2:31 p.m. Some Avista customers said they didn’t want their local utility sold to a Canadian company with government ownership during a public hearing last month in Spokane Valley. Questions about foreign ownership and political influence were aired again Tuesday during a regulatory hearing in Olympia. If Avista’s $5.3 billion sale to Hydro One Ltd., of Toronto, goes through later this year, the Spokane-based utility would become a subsidiary of a company whose largest shareholder is the province of Ontario, with a 45 percent stake. 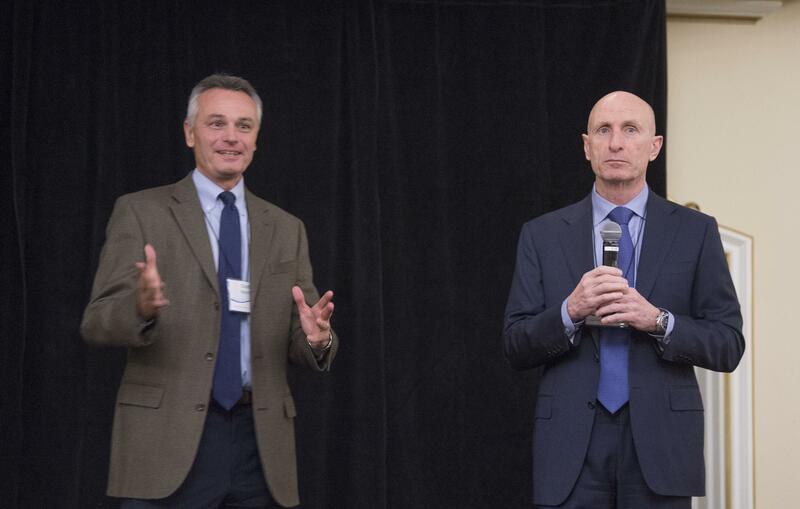 Members of the Washington Utilities and Transportation Commission grilled Hydro One CEO Mayo Schmidt about an upcoming election in Ontario and potential impacts on the utility. Several Canadian political parties are vying for control in the province’s June legislative elections. The Liberal Party, which is currently in the majority, supported the privatization of Hydro One, which was once entirely owned by the province. Another political party wants to fire Hydro One’s board of directors, saying that executive pay is too high. And yet another party says it wants to return Hydro One to full ownership by the province, which started selling off its stake in the utility in 2015. The future of Hydro One “seems to be a major election issue,” said UTC Chairman David Danner, who wondered how “the potential volatility” would affect Avista ratepayers if the sale goes through. Both Schmidt and Avista CEO Scott Morris, who were at the hearing, sought to assure regulators that Avista’s ratepayers wouldn’t be affected by Ontario politics – now or in the future. After the purchase of Avista, the province’s ownership stake in Hydro One would drop to 42 percent, he said. Even if Hydro One’s board of directors was replaced in the future, the process requires that independent board members – not politicians – be chosen to run the company, Schmidt said. If the government of Ontario wanted to regain full ownership of Hydro One in the future, it would be “a complicated deal,” requiring the cash-strapped province to buy out the other shareholders, Hydro One attorney James Scarlett said. Protections for Avista’s customers are outlined in sales agreements, Morris said. Avista and Hydro One would keep separate books. Funds would not be comingled for setting customers’ rates. State regulators would review those financial audits before acting on new rate requests from Avista, he said. After the sale, Avista’s new board of directors would retain strong Northwest ties, Morris said. The nine-member board would have four Avista representatives, two Hydro One representatives and three independent members chosen from the Northwest. “These protections … keep the ship of Avista sailing smoothly regardless of what happens in Ontario,” said Scarlett, the Hydro One attorney. Hydro One’s customers “share the same concerns that you have here,” Schmidt said. They don’t want to shoulder any costs from Avista, he said. Although Avista and Hydro One would operate separately after the sale, the companies expect to benefit from sharing best management practices and savings from buying equipment and supplies in large quantities, Morris and Schmidt said. For Avista’s sale to go through, the three-member UTC must determine that it would benefit the utility’s customers. A decision is expected by mid-August. Published: May 22, 2018, 4:54 p.m. Updated: May 23, 2018, 2:31 p.m.